Kenneth Lavallee's mural at the Winnipeg Art Gallery depicts the "Great Flood" as part of the gallery's largest exhibition of contemporary Indigenous art ever. Growing up in Winnipeg, Kenneth Lavallee would admire the city's murals from the bus window and dream of the day his artwork would be on public display. Now, Lavallee's work is the first thing you see when you drive by the Winnipeg Art Gallery. His piece, Creation Story, is a large 35x41' banner that hangs across the exterior of the WAG. It was specially commissioned for the Insurgence/Resurgence exhibit running until April 22, 2018. 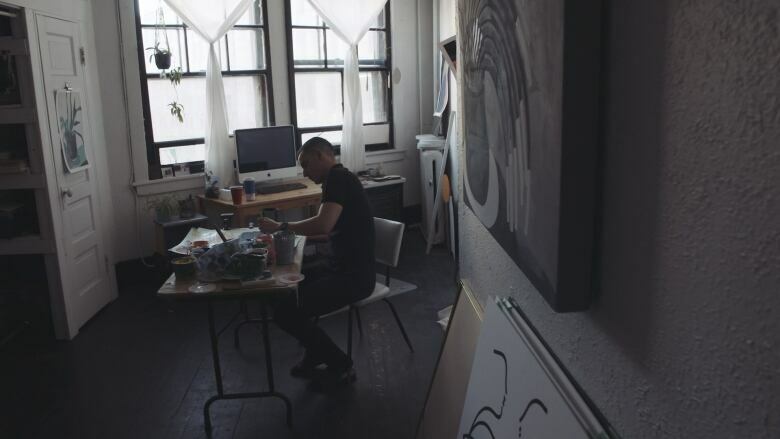 "My work responds to the place where it's going to show," says Lavallee. 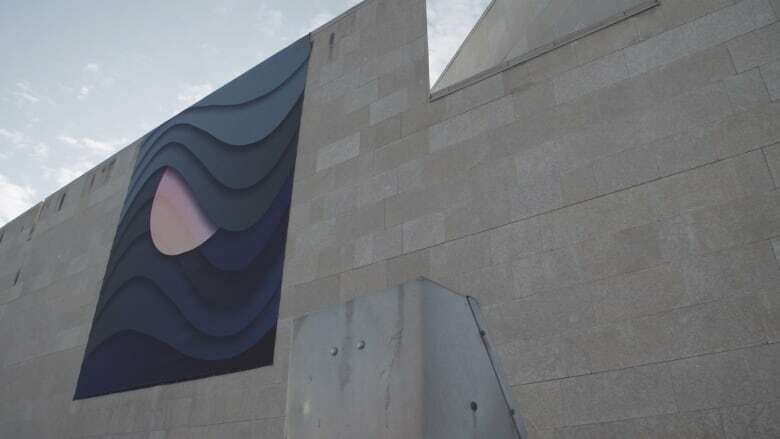 In Winnipeg, Creation Story counters the stone exterior of the gallery with blue waves depicting the deluge of the "Great Flood" mythology found in Indigenous, ancient Greek and Biblical texts. Not far away from the WAG, the famous "Golden Boy" statue perches on top of the Manitoba Legislature. "I had the image of the Golden Boy holding this torch and the flame of hope, but I've deconstructed it to just [the] aspect of his light shining through the floodwaters," says Lavallee in the video. Insurgence/Resurgence is the largest exhibition of contemporary Indigenous art ever held at the Winnipeg Art Gallery. "I don't work with beads or sashes. I'm a Métis of the 21st century," says Lavallee. He has worked with many different forms of art including animation, sculpture, abstract design and, of course, large scale mural. In this video, you'll see how Lavallee blends Western motifs with traditional Indigenous ideologies. 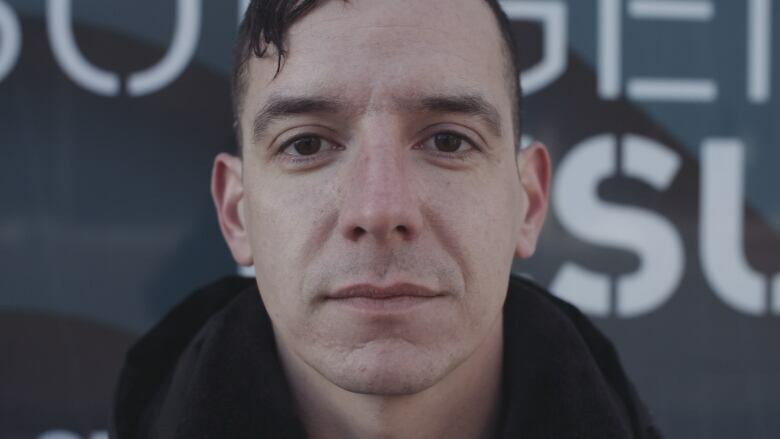 This is one of a series of videos, a collaboration between CBC Arts and CBC Indigenous, profiling the artists featured in Insurgence/Resurgence. Insurgence/Resurgence is on display at the Winnipeg Art Gallery until April 22, 2018. Follow Kenneth Lavallee on Instagram to see his latest projects. This series of Insurgence/Resurgence artist profiles is a collaboration between CBC Arts and CBC Indigenous. Check out the other videos here. Watch CBC Arts: Exhibitionists online or on CBC Television. Tune in Friday nights at 11:30pm (12am NT) and Sundays at 3:30pm (4pm NT). 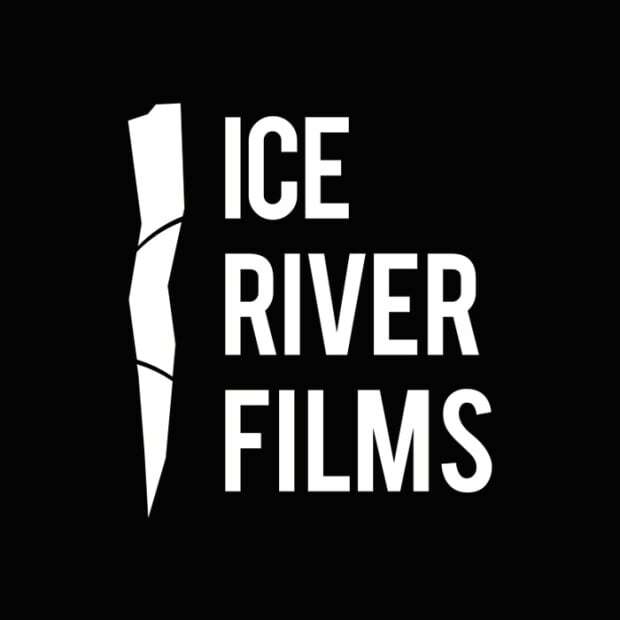 Based out of Winnipeg, Ice River Films is a small crew of videographers and documentary filmmakers that have worked with organizations like Habitat for Humanity, the Canadian Museum for Human Rights and The Dufresne Group. They’ve also worked on pieces for CBC, APTN, Smithsonian Channel, Bloomberg TV and MTS.